We translate documents, flyers, forms, transcripts, and websites from English into other languages and from other languages into English. Our translators are carefully selected based on areas of industry-specific expertise and are certified, so you can rest assured that the translators who have been assigned to your projects have professional-level skills. We work with translators who are native speakers of the target language(s) of the final text to work on your projects in order to help ensure impeccable quality. A translator conveys written messages from one language into another. An interpreter conveys a spoken or signed messages from one language into another. Sometimes the word “translator” is used for both, but be sure that you know the difference, so that we can provide the services you need. What will my translation project manager do? Your translation project manager will be your main point of contact at Midwest Language Services. The project manager will first assess the scope of the project, including languages needed (and whether it needs to be localized to an audience from a specific group e.g., Spanish as written in Spain vs. Spanish as written in Mexico), formatting, your budget, and urgency. The manager will then coordinate with you, the translator, proofreader, and editor to help ensure quality and meet your specifications and deadlines. Our translators are carefully selected based on areas of industry-specific expertise and are certified members of the American Translators Association. We choose translators who are native speakers of the target languages of the final text to work on your projects in order to help ensure impeccable quality. Contact us any time at (317) 296-7997 or info@midwestlanguageservices.com for any questions or concerns regarding your project. How long will it take to translate my project? Our translators can translate between 2000 and 3000 words per day, on average. We add additional time for proofreading and editing, usually about half the time for translating, depending on the project. Be sure to send us your translation projects as early as possible, so that we can help meet your deadline. Please note that by sending your document to us as a Word doc (not a PDF file), you can save precious time and money. There is no simple, one-step process to convert PDF files to Word, short of re-creation, which would be an additional charge to the client. Consider this: "How much will it cost if I can’t reach my audience, target market, or improve client relations?" Translation is an investment in building relationships cross-culturally. The cost of a translation depends on the language(s), the length, complexity, and the deadline for the project. Also, be sure that you have already made any changes that you want to the original and that it is ready to be translated. Save time and money. It is less expensive to send us a Word document than other formats as it saves time on our end of the process. A signed statement of accuracy attesting that the translation has the same meaning as the original document accompanies your translation. We can also have this notarized. Do you translate driver’s licenses? We only translate driver’s licenses if you are also submitting other documents with them. We do not just translate driver’s licenses without any other documents. It takes the same amount of time to assign a translator to a one-page document as it does to assign a translator to begin work on a multi-page document. For this reason, we charge a minimum fee of $55 for a one-page document such as a driver’s license. 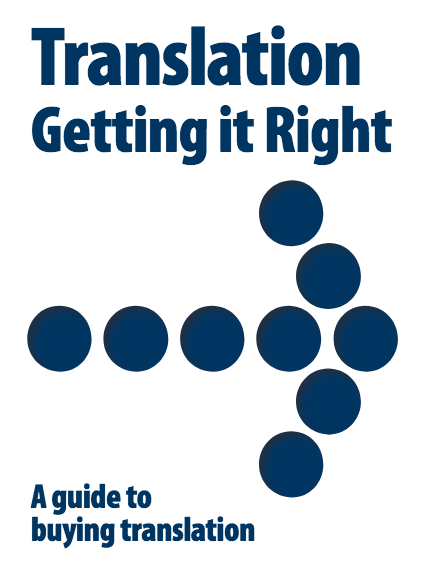 Click on the arrow above for guidance on how to buy translation services. Please fill out the form below to submit your request for translation services. When do you need your translation to be finished? Be sure to send a copy of your document to info@midwestlanguageservices.com. Please use Microsoft Word, if possible. Thank you. If you do not have it in Word, don't worry. You may still send us your document in another format.